I bought this all in one LED head light back in September in anticipation of the dark nights to come. For years I’ve run an original Exposure MaXx-D on my handlebars but it is now starting to show it’s age. Added to which, it is very much MTB specific which means road commutes on my Specialized Secteur risk the wrath of oncoming drivers or forces such a downward tilt of the lamp that it becomes ineffective. The Lezyne Super Drive ticks the boxes I am most interested in – cost (nicely discounted to about £90), no separate battery and a quick release mount to enable switching between bikes and commuting, as well as facilitating pub stops (cough!). The light is USB chargeable, so it can easily be recharged – albeit slowly – from a PC or better still from a higher powered USB plug which also helps make commuting a viable option. There are other features which I value such as the top of the light being hooded to avoid dazzle to the rider while the side of the lens allows light out, helping side visibility. Operating the light via a large and hard to miss glowing button on the top of the unit is convenient, while remaining charge is also indicated via the glow colour of the button. Another positive feature is that the light can be twisted on its mount to the side or pointed to the verge, which is my preference on road to avoid dazzling oncoming traffic. On the flipside, even if a busy handlebar pushes the light to one side it can still be angled forward. In terms of the ownership experience, I am less impressed than I hoped although this doesn’t make it a bad light by any means. Where I find fault is actually the mount which tends to slip round the bars on my road bike no matter how much I tighten the strap. This means that it remains easy for me to be lighting the ground in front of me rather than the road ahead. Similarly, on the mountain bike I find this becomes an issue which is not what you want when heading down a fast descent. I have a theory that the solution is to wrap a piece of bar tape around the handlebar under the lamp mount, adding friction to a slightly thicker circumference – I’ll give it a try and let you know. Fundamentally, the problem is the weight of the unit is just a bit too much for the mounting method, which is a rubber band that wraps the bars. The Super Drive is certainly bright and sports reasonable run-times of anything between 1 hour 50 minutes on full power, 9 hours plus on the lowest, steady Economy mode and up to 35 hours in Pulse (flash) mode. 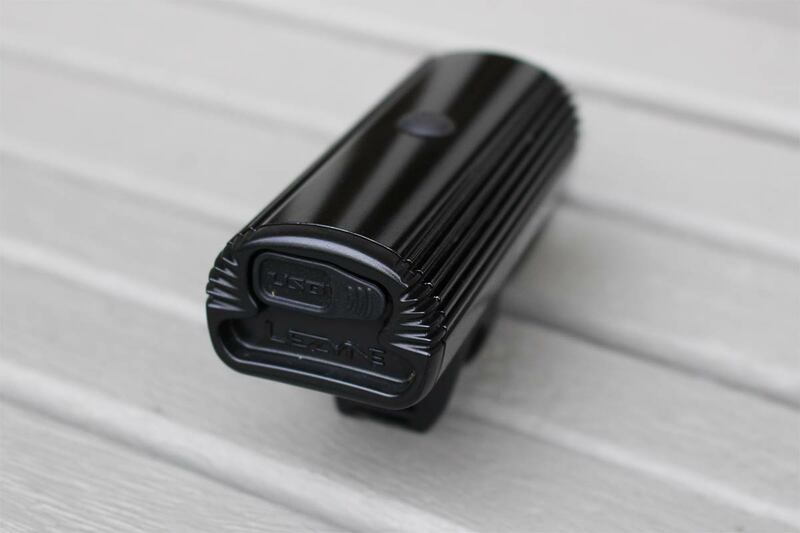 Here lies another frustration – the light modes cycle sequentially through Blast (950 lumens), Enduro (650 lumens), Economy (250 lumens), then two flashing modes. This is a pain most of the time, so on the road I tend to put it in Enduro which is good for 3 hours 45 minutes, but I’d really like to switch between this and a flashing mode for lit/unlit roads. The flashing modes are at least two button presses away which drives me nuts, plus the flashing modes are too slow to be truly effective as ‘see me I’m here’ lights in urban areas. More effective is switching to Overdrive (giving the maximum 1250 lumens) and Economy mode off road, which works rather better – one press between each setting for up and downhill. Clearly though this programme selection is an area where Lezyne could and should do better to eke the best out of the light. Beam patterns are pretty good, off-road it’s a powerful beam and on the road the hooded top prevents dazzle to me and oncoming drivers. On the whole, I’m happy with this light but feel it’s a couple of points off being great – the mount and the beam programme are holding back a decent product. Edit: I actually wrote this review before my latest accident which ended with a broken collarbone. All the points I make here, in hindsight, help explain the accident – the slow flash modes being ineffective to really make the rider visible in urban areas (and thus not used), the slipping bar mount etc. I’m not entirely saying they contributed to the accident, but I do keep wondering how, despite using a bright bike light and a helmet light, I wasn’t more visible to other road users. Like any accident, it was probably a combination of factors. 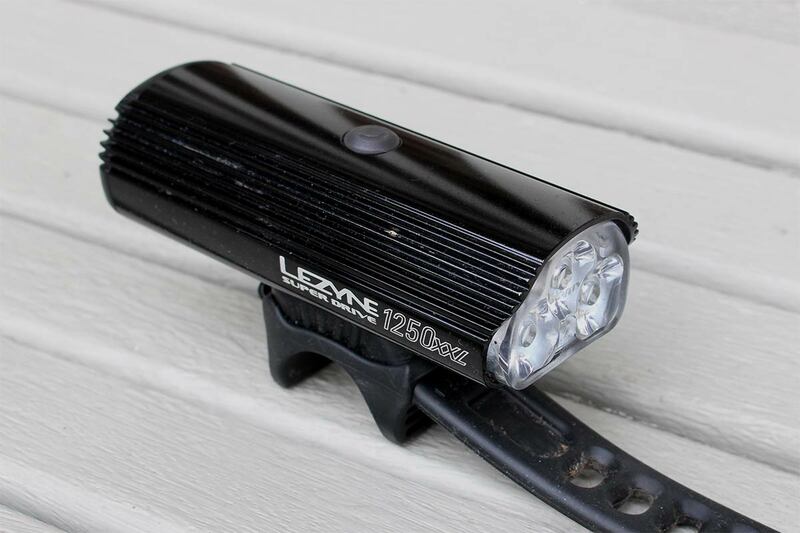 I started off night riding with Lezyne lights a few years ago. My problem with them was the claimed waterproofing, or lack of it. Having a light cut out in the rain miles from home is slightly inconvenient! Don’t know what they’re like now but I see the specs have been downgraded to ‘weather resistant’. Doesn’t seem to be a problem with my Exposure lights. BTW I used some Slapper Tape stuck to the inside of the bar or seatpost mount to stop it slipping. To be fair the light seems well-sealed – the plug for the USB charge point is about 15mm deep and pretty tight. The only problem with putting tape on the mount is ideally I would switch the bike from bike to bike and repeatedly take it off to charge/avoid having it nicked. So the slippage issue is quite annoying! The tape would be stuck inside of the mount, just to the half that is plastic. The rubber side of the tape would face the handlebar, sticky side against the plastic mount. This will let the mount grip the bar more securely and no problems swapping between bikes. I bought an Exposure Switch for my wife’s commute for rather less than that, it is also hooded, and while technically less bright it would be interesting to compare them. I run the smaller 800XL and am happy enough with it. My coloured blindness stops me from noticing how much charge is remaining when in use. However, when charging it uses a simple flashing indicator light which becomes a constant when fully charged. This is a big deal time rather than an led which apparently changes colour when charged. The mount is ok for me. I wonder if the separately available hard Lezyne mounts may be more appropriate for your larger model? 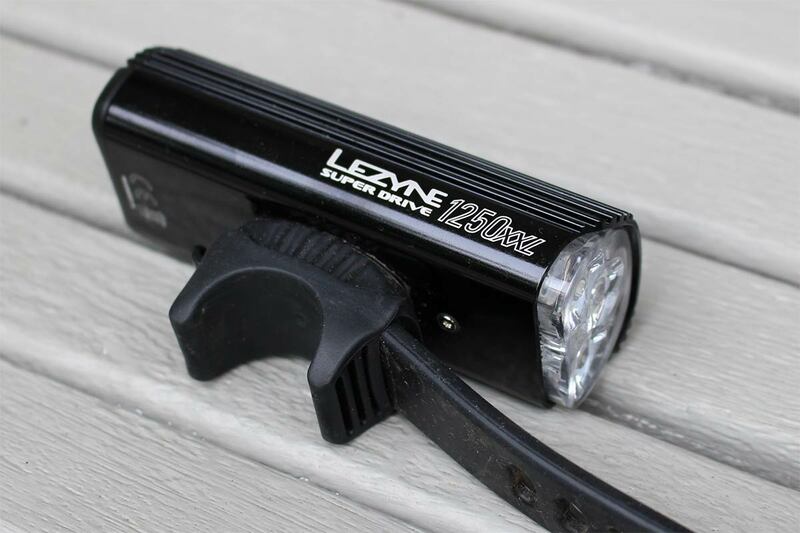 I’ve recently got the Lezyne 450XL and quite frankly that seems powerful enough as a road commuting light. For me the purpose is mainly to have it flashing for oncoming traffic rather than illuminating the way on a dark night time road – although it is decent enough for that too. I love the simple mounting system and the way I can plug it into my laptop at work if I notice the battery level falling during my inbound commute. Thanks John, yes I’m quite happy with the brightness but find the beam selection frustrating. The low setting is fine for most conditions but the roads between Reigate and Dorking can be pretty black at night. To switch to high power I have to cycle through the Flash1 and Flash2 settings which means just when I need more light, I get a moment or two of nothing, which can be scary as I also only have one hand on the bar at that point while the other is adjusting light settings. For most of the spring, summer and autumn I’ve run it in flashing mode and it’s been great for that. As for the mount, I’ve put a short strip of Marshguard Slapper Tape under it – works a treat now! The increasingly dark canopy of trees as we approach late summer has led me to start running my lights again. It seems to have happened all of a sudden. Riders with no lights on a wooded road descent are incredibly hard to see. My Lezyne Y10 800XL has developed a fault in that it will stay switched on happily if I leave it on a table. 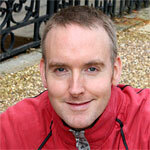 However, when I let it have a jiggle about on my bars it switches off in a few seconds. It is still within its 24 months warranty, I just need to find that elusive proof of purchase. Re-reading this article, I’m happy with the mount, the beam focus and the runtime. I always leave it on the mode of easy switch between full and 150 lumens – as clicking through all the other options are too much of a faff. If I buy a new light, I fancy something STVZO compliant, with a remote and simple to use mounting. Gordo, checkout the Ravemen PR1200. I have one and am very pleased with it (a review is coming from me). Has a dipped beam, decent power, massive runtime and a remote… and it can be had at a decent discount if you shop around.